Arrozcaldo is derived from the spanish word “Arroz” which means rice and “Caldo” which means soup. In the Philippines you can find it almost everywhere, it’s nice to have it for breakfast and in a cold rainy afternoon. Onboard, I always try my best to serve it during bad and nasty weather. When the sea is so rough and our ship is rolling and pitching like the “Anchor’s Away Ride” on the theme parks. It is really hard to prefer a meal on a rocky weather and not every crew can digest normal food at this situation. 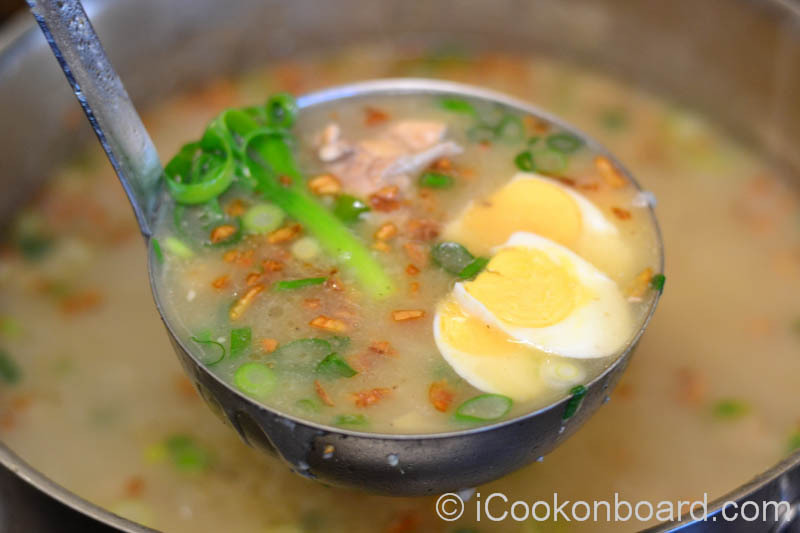 Arrozcaldo is the best food to serve on this kind of day, it is easy to digest and a complete meal in a single bowl. 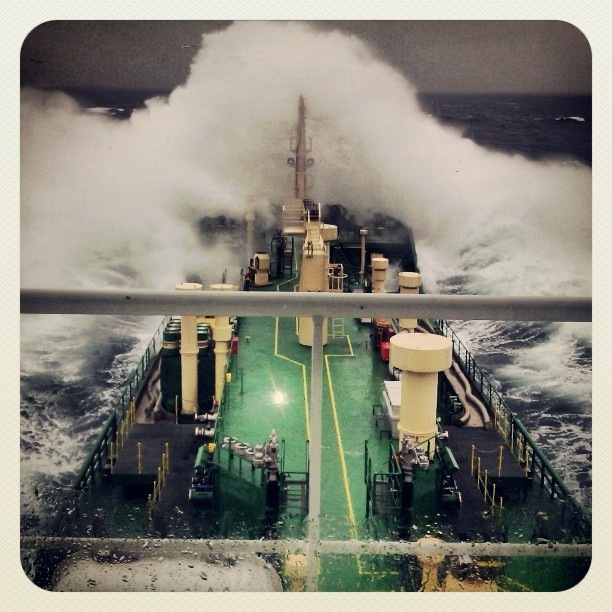 Eating onboard a ship on a bad weather needs extra skill. You need to hold your plate/bowl and clip it on the table and on the other hand is your spoon or fork, while both of your feet are holding tightly on the floor and your body swaying like tree branches in the breeze. water enough to soak the rice. 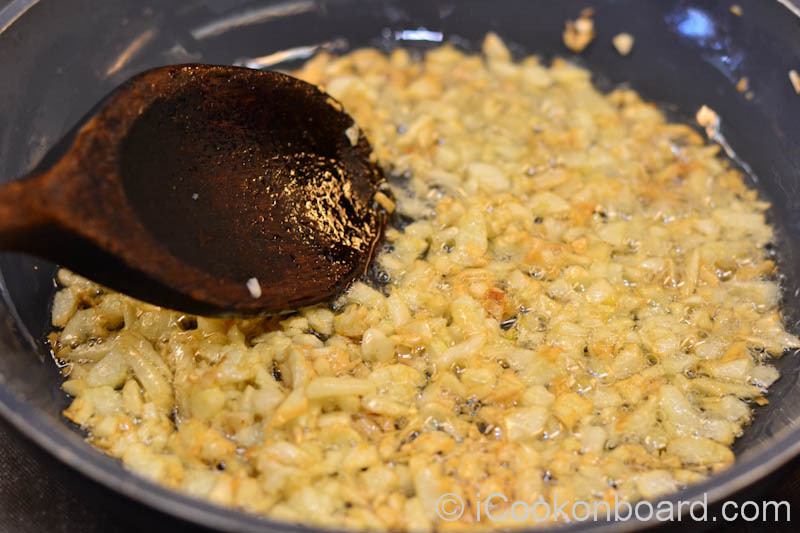 12 cloves garlic, crushed and finely chopped then fried until golden brown. 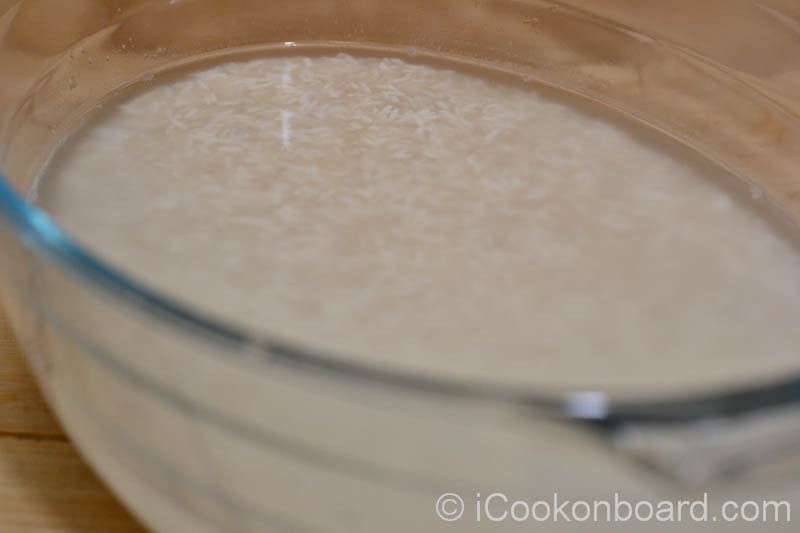 Wash and soak the sticky rice and white rice together for 15 minutes. While the rice is soaking, prepare all the required ingredients. Heat a large soup pot on a very high heat. 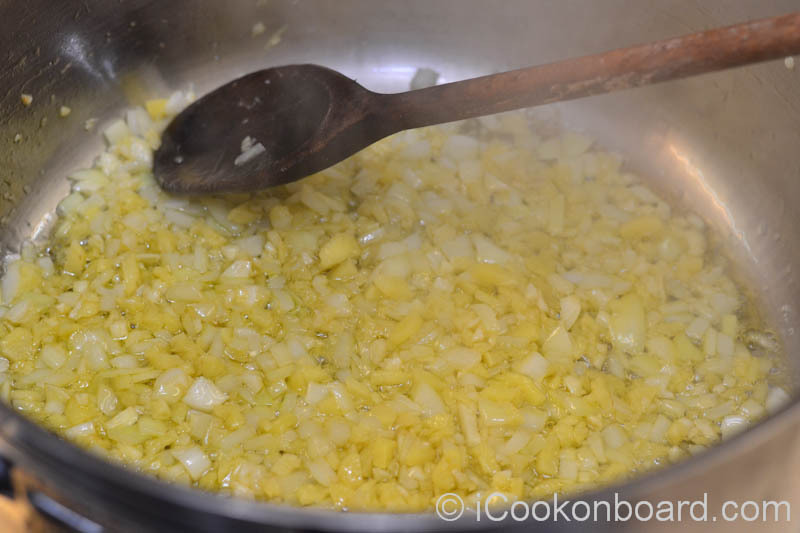 Saute garlic, ginger and onions in oil until fragrant and onion is translucent. 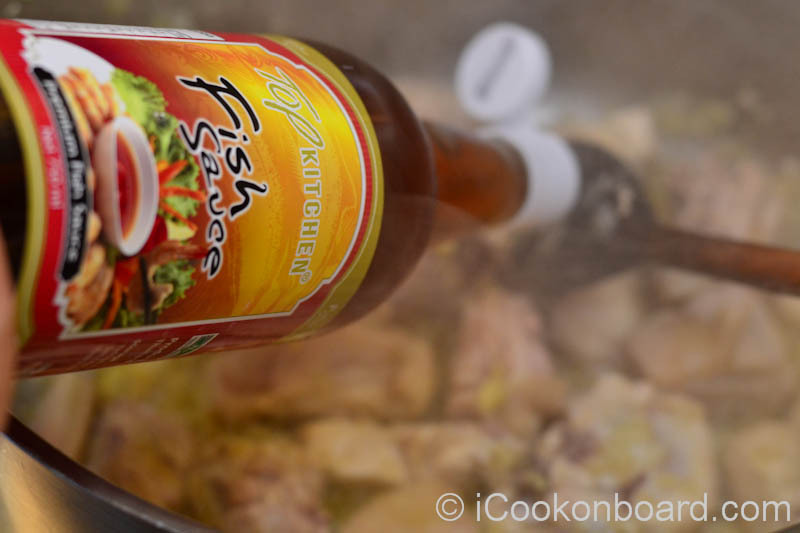 Add the chicken and stir, pour in the fish sauce. Stir and cover the soup pot for a minute. 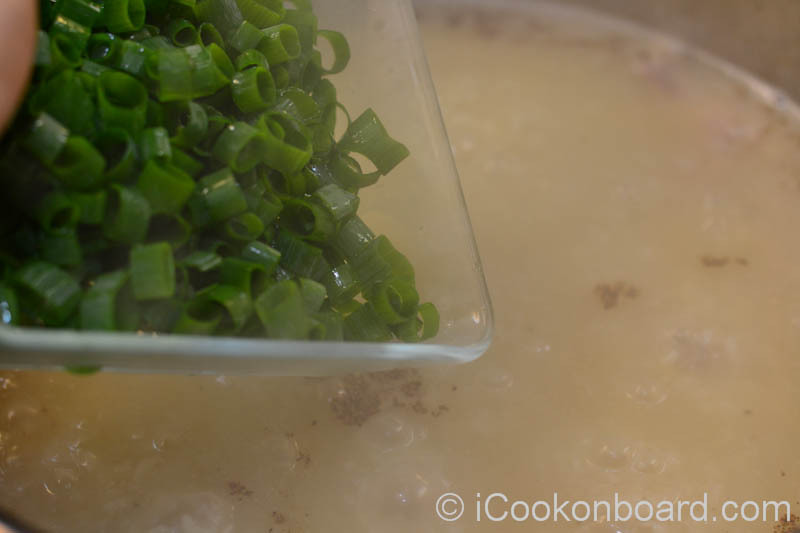 Drain the water of the soaked rice and add to the soup pot. 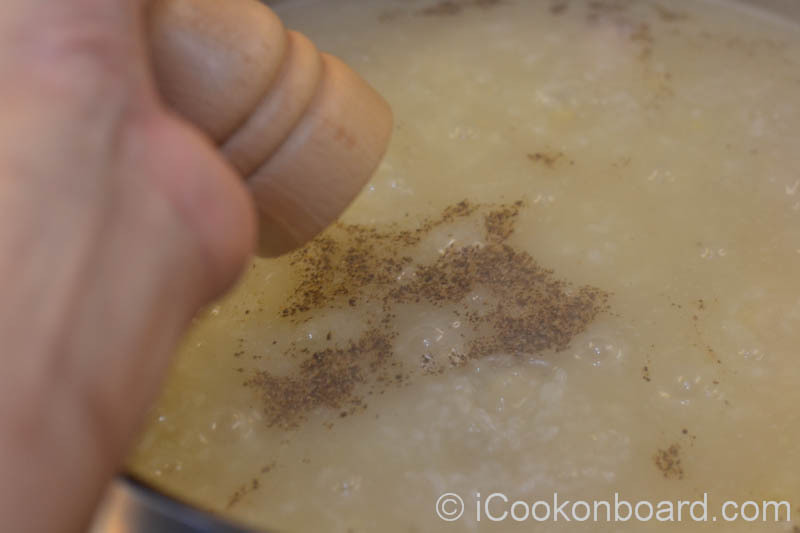 Stir for a couple of minutes, avoiding the rice to stick to the bottom of the pot. Pour in the “Caldo” soup stock. 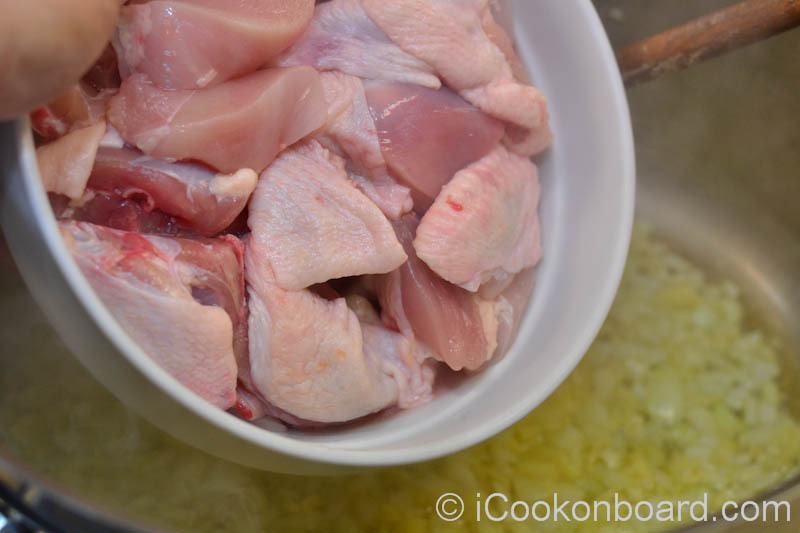 Bring the soup to boil, Cover the pot and lower heat to simmer for 30 minutes or until chicken and rice are cooked. Season with salt and freshly ground pepper to taste or #Seasonin. Keep the soup warm until serving. Prepare the garnishing. 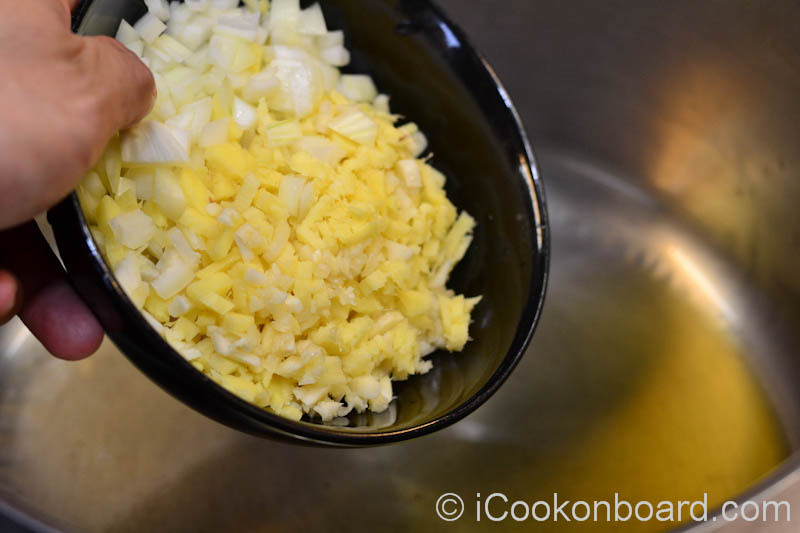 Add the freshly chopped spring onions. 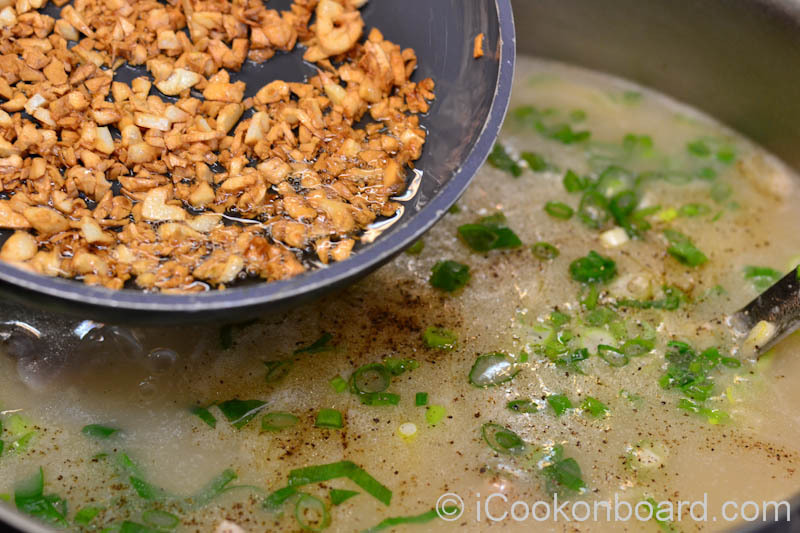 Fry the garlic until golden brown, add to the Arrozcaldo. Top with sliced boiled eggs. 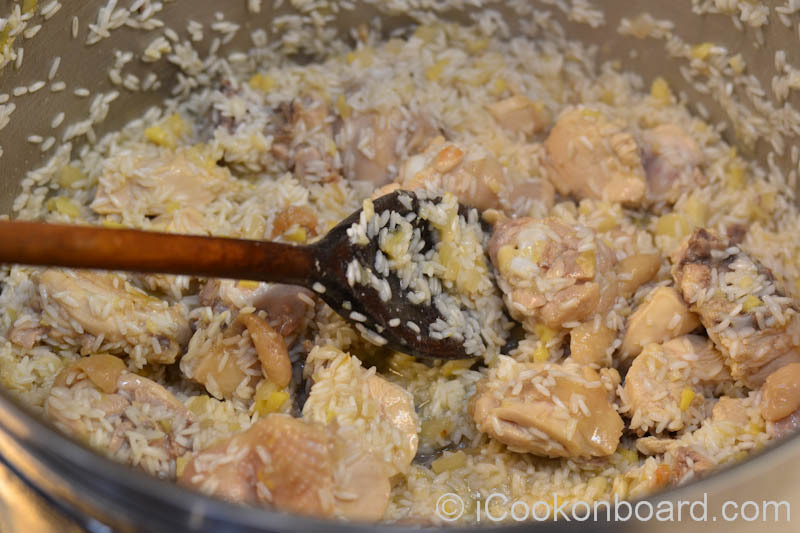 Wash the sticky rice and white rice together. 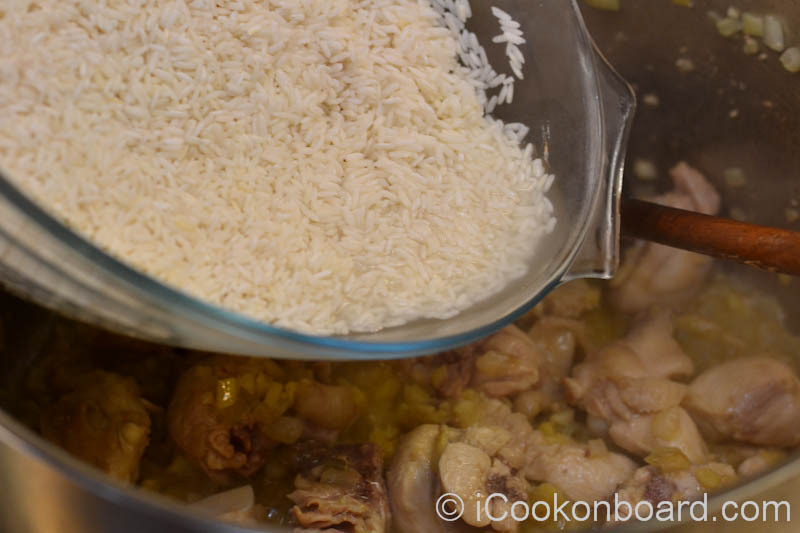 Soak the sticky rice and white rice together for 15 minutes. Heat a large soup pot on a very high heat. 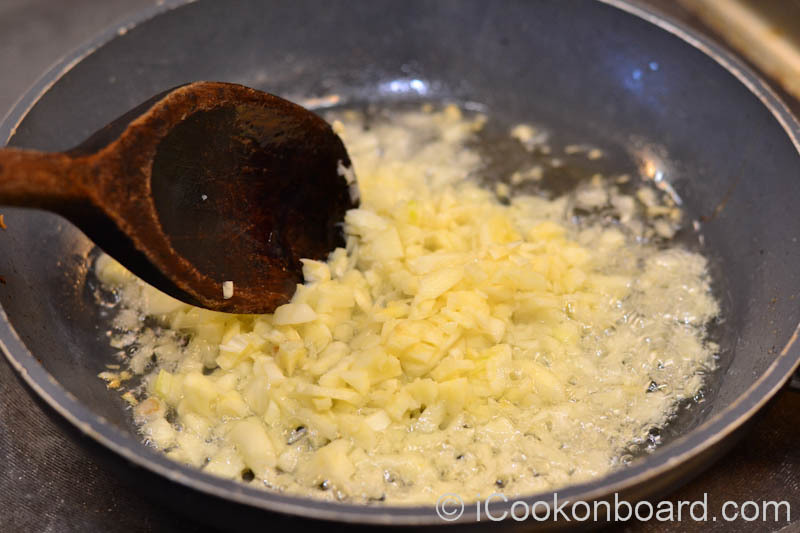 Saute garlic, ginger and onions in oil until fragrant and onion is translucent. 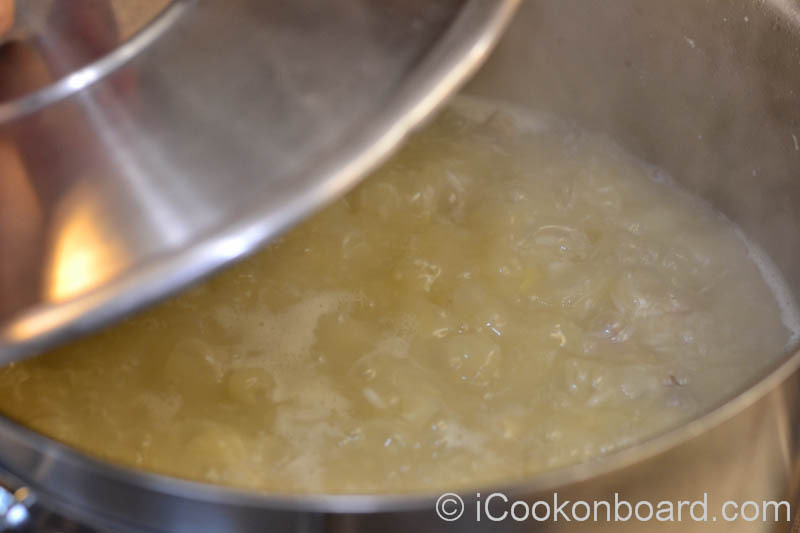 Stir and cover the soup pot for a minute. 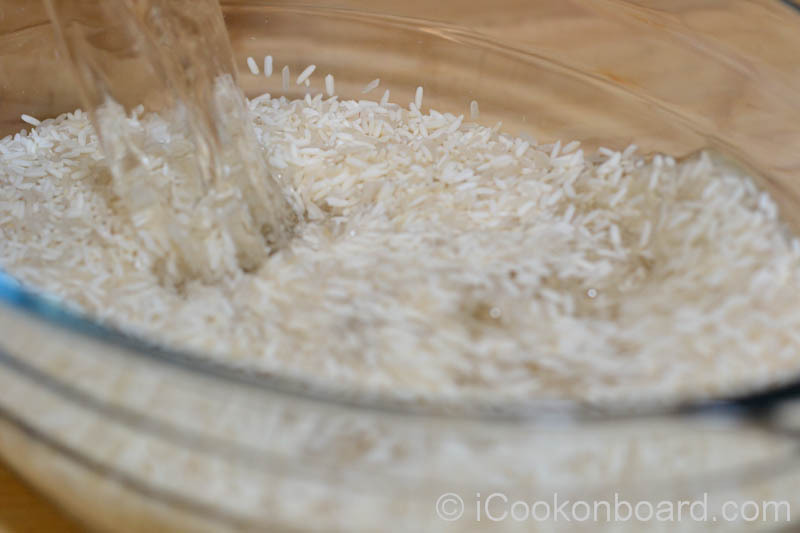 Drain the water of the soaked rice. 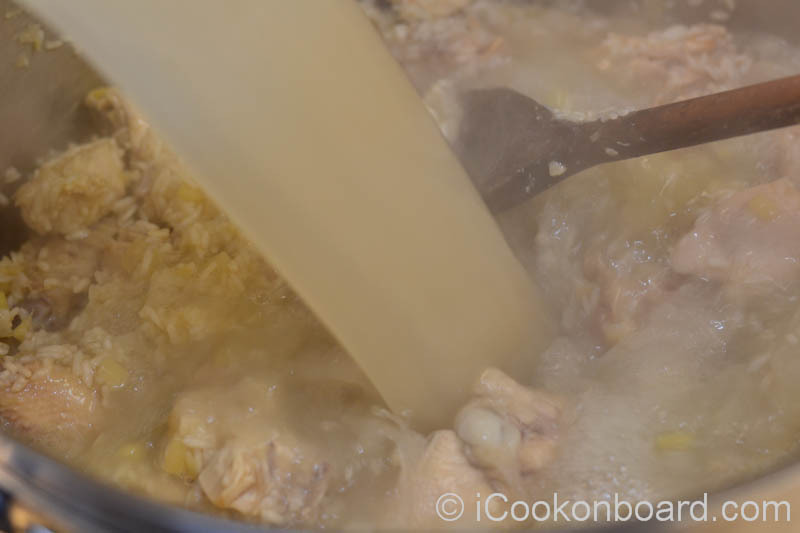 …add to the soup pot. 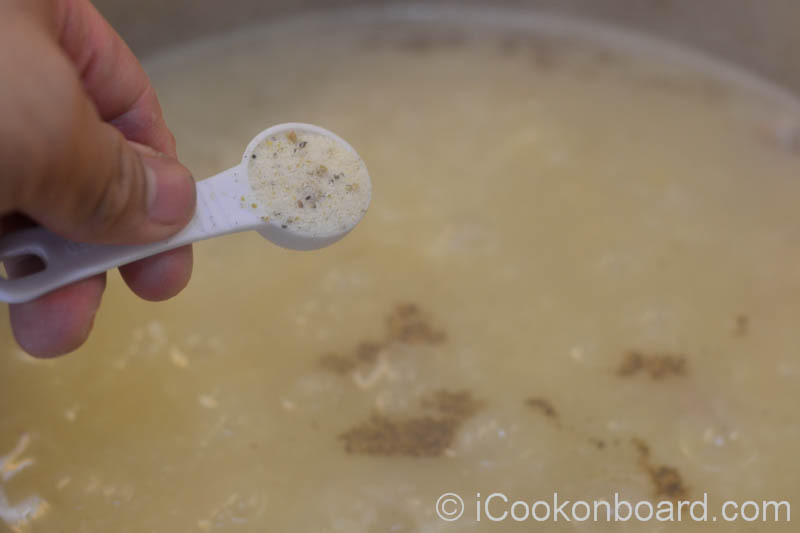 Stir for a couple of minutes, avoiding the rice to stick to the bottom of the pot. Pour in the “Caldo” soup stock. 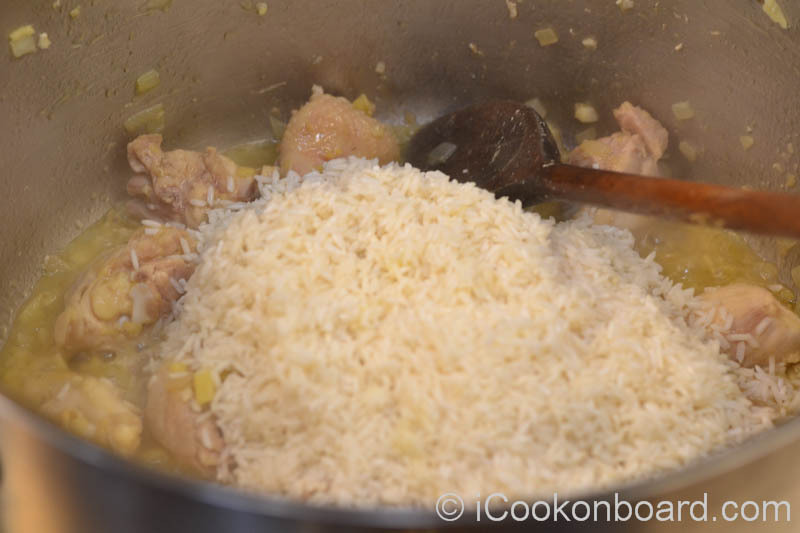 Cover the pot and lower heat to simmer for 30 minutes or until chicken and rice are cooked. You can also use #Seasonin to adjust the final taste. Keep the soup warm until serving. 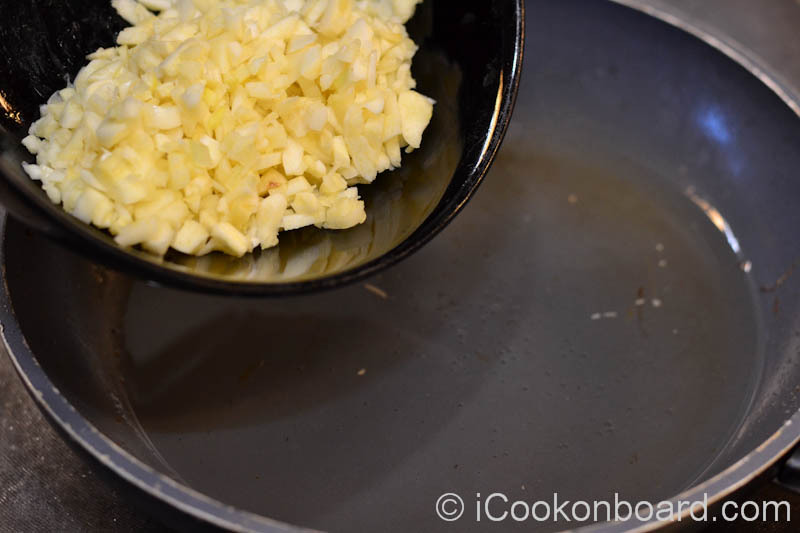 Add the freshly chopped spring onions. Heat oil on a small frying pan. Don’t go anywhere, garlic can easily burnt and it will taste so bitter. It is best to fry it just until golden brown. 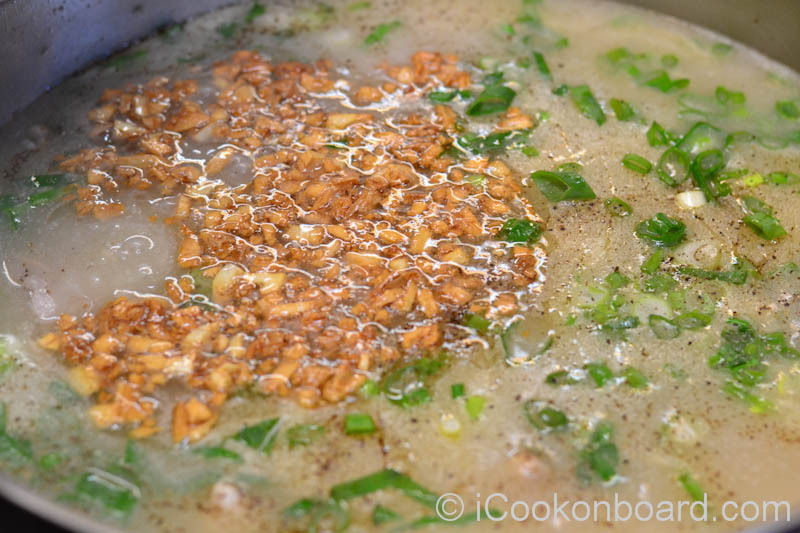 Add the fried garlic to the Arrozcaldo. 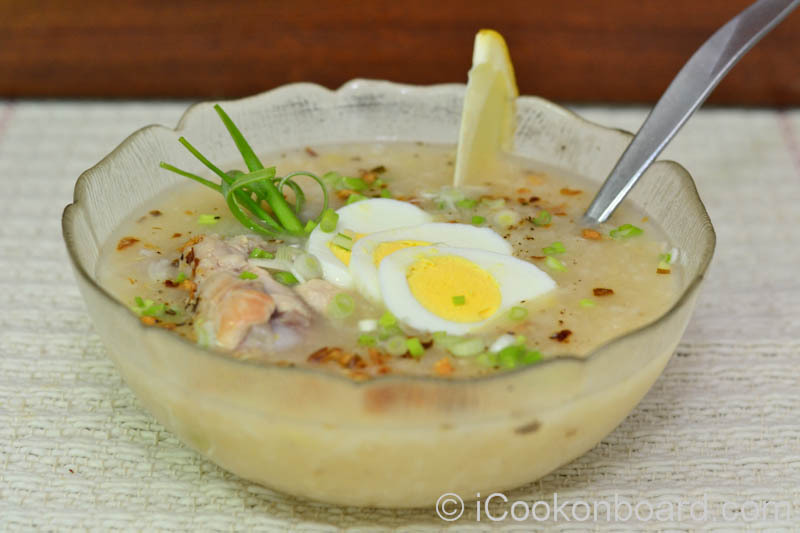 Arrozcaldo top with sliced boiled eggs. 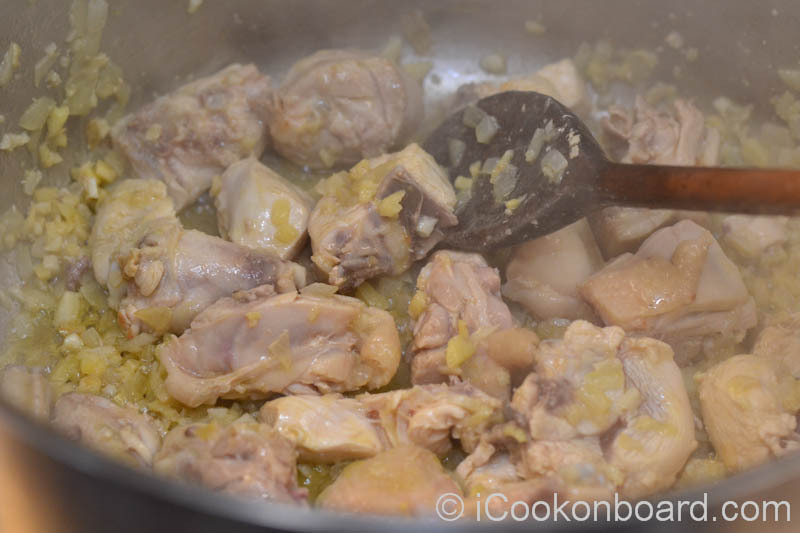 you to try cooking some Arrozcaldo at home or onboard. i’ve always had people make it for me growing up, but its always so fun to try and cook myself ! ill try ur recipe. also the photos are great ! 🙂 thanks you Sarlysweets for following and nice feedback! this looks sooo yummy ! This is such a pretty looking dish, which can be hard with soup! It also sounds delicious! OMG yuuuum! I love soup! 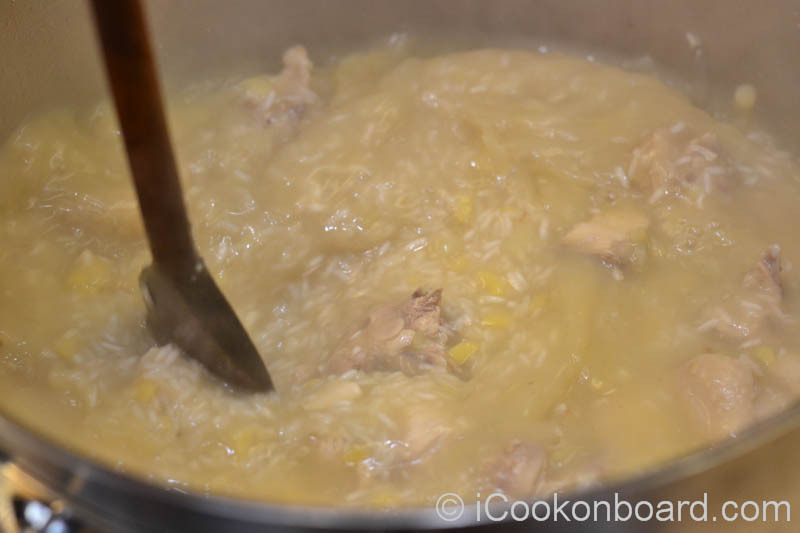 This arrozcaldo looks amazing! Super sarap. 🙂 Any thoughts about substituting rice with quinoa? I’m on a low carb kick right now. Or bad idea? Salamat Diahann! Quinoa what? Honestly you’re the first person to introduce me to this kind of food “Quinoa” so I googled it and find a lot of info @ wiki. I wanna try your idea of substituting it. 🙂 thanks for the suggestion!